A multi-phased project with four participants. 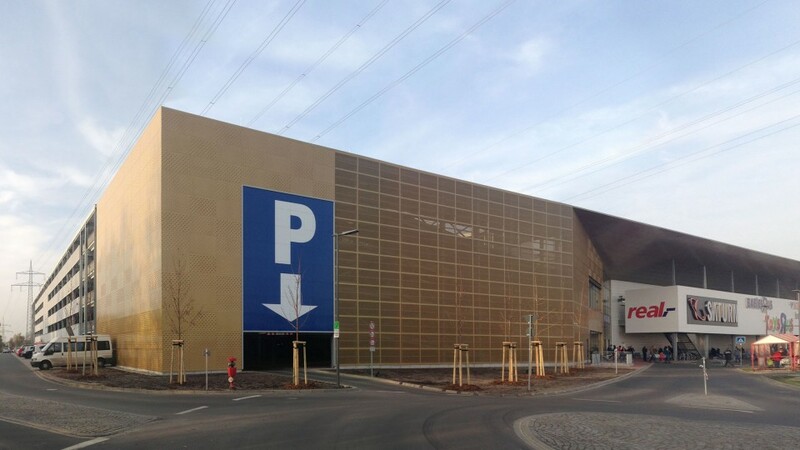 In a diverse area on the outskirts of Altwarmbüchen, an area in Hannover, a building complex for various retail stores and a multi-storey car park is developed. 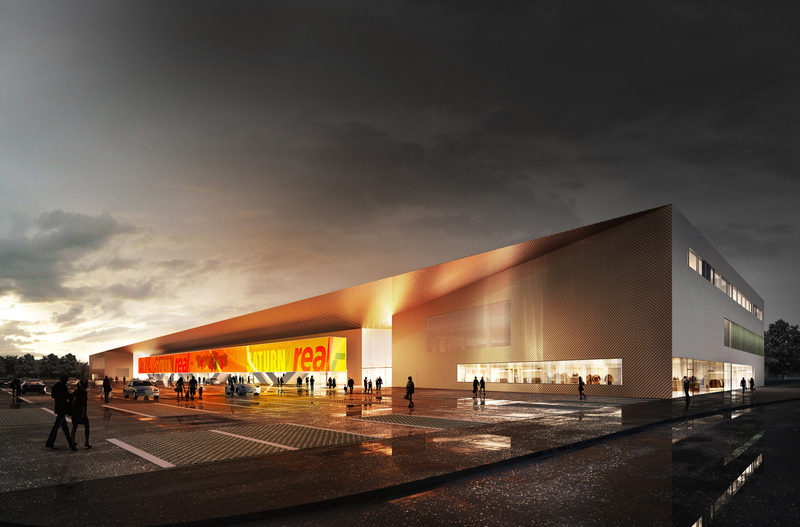 The new building should appear as a self-confident, modern and urban addition to the industrial area. The roof with its wide overhang brings the different parts of the building together. 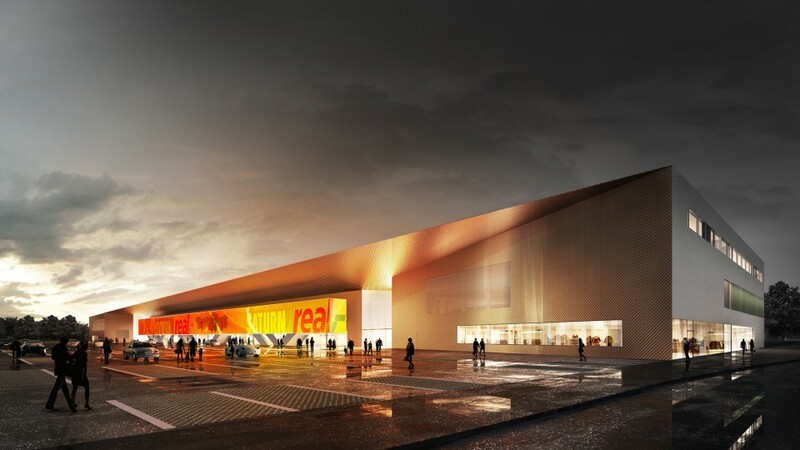 The large, sleek structure combines the different companies ‘under one roof’. The bright, shimmering metallic ‘gold’ of the funnel-shaped main facade strongly characterizes the building. 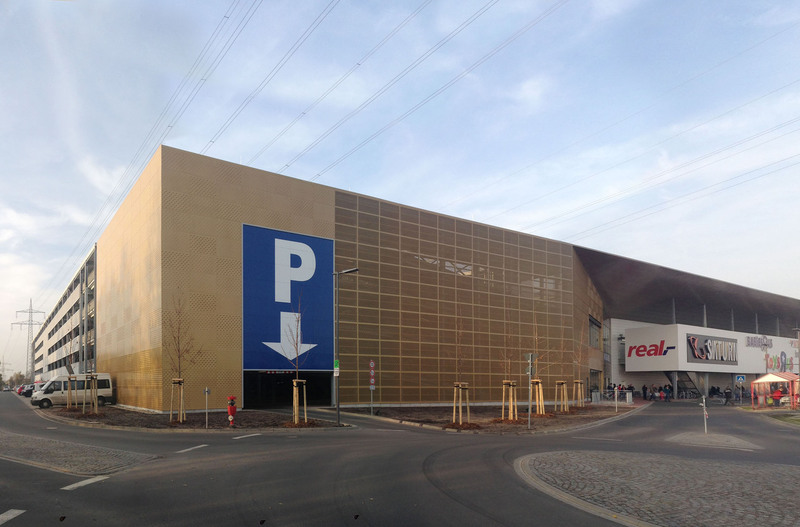 The advertising concept is based on a large advertising panel, an independent facade element, which is incorporated into the building’s structure. The concept is based on the premise of a consistently cost-efficient construction.